bugger's bugging blog: Manfrotto vs Crumpler: longivety or not? Yes, the Crumpler cost about three times as much, but it is also about three to four times bigger. It was - well, is - a massive bag that I decided was simply too big to be practical as a day-to-day bag outside of Uni/College. I still use the removable inner compartment for storing my stuff and when I need to get my gear to a location. But it just became too large. See old review here. I had a few other problems with the New Delhi: mine did not have the side-flaps that protect from rain and probing fingers, and once you remove the inner bag, it is just a giant empty space that is great sometimes, but usually leads to a mess. The front zipped section is a bit hard to open and get into, and some of the inner velcros are so strong that they started pulling threads out of the textile in the vicinity. I would also have liked an externally accessible pocket or two, for pens, ID, etc. But other than these, it was great. 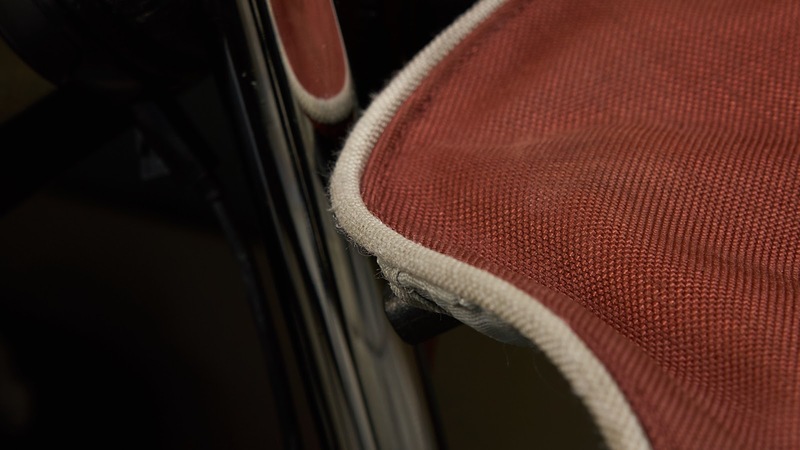 the front section had enough and deep pockets for anything, the flap zip pocket was gigantic, the laptop compartment well-padded, and the outer shell was largely indestructible. 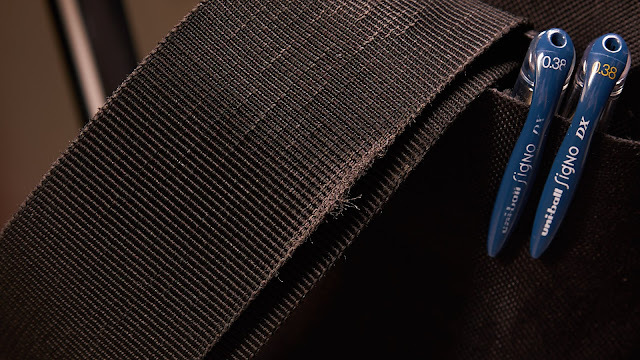 The clips and velcros are still almost as strong as on day one and it probably still can take the whole weight of the fully packed bag without becoming undone. In other words, most parts of the bag were ridiculously over-engineered, and where possible, pockets and sections ran as deep as possible, which I liked. I even came to sort-of like the gaudy red color. 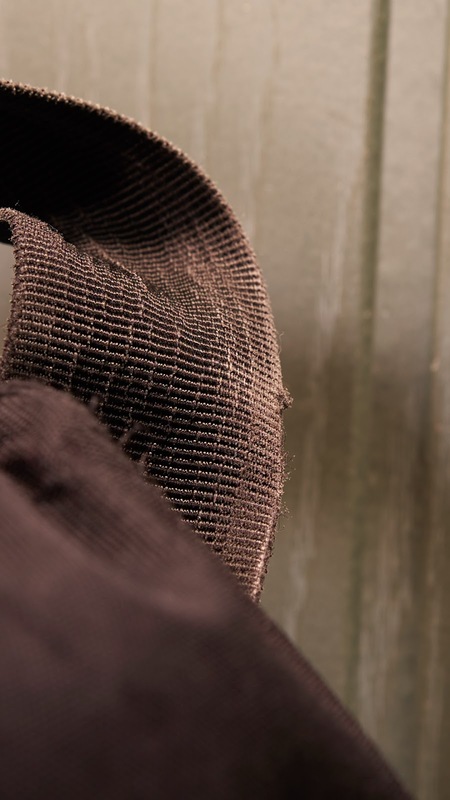 The bag no longer has the exact original shape, since it is usually stored without the inner compartment. 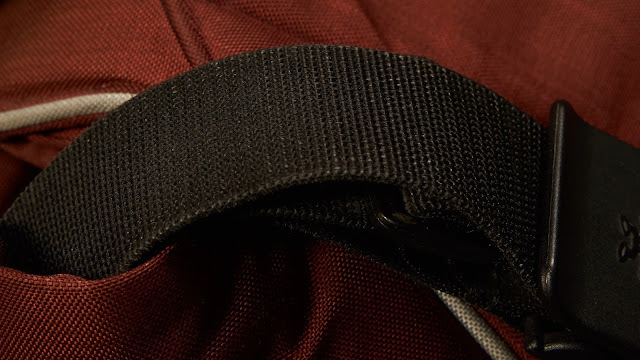 The shoulder strap has gotten shiny in places, but it's only cosmetic. The edge of the bag flop has gotten a bit hairy, but I would not say it has begun to fray. I do wish they had done these parts completely from rubber though, as my old-old Samsonite messenger bags. 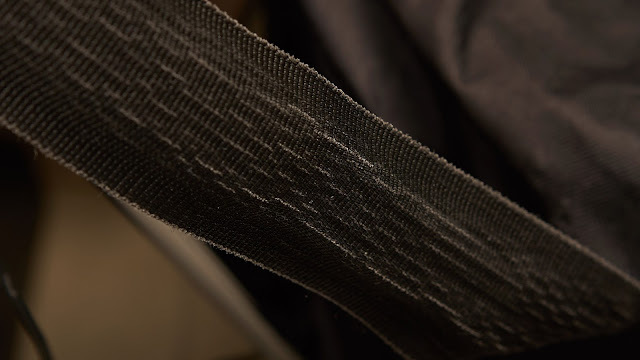 The inner "ripstop" fabric has started to fray in places where the extremely strong velcro may come into contact with it. 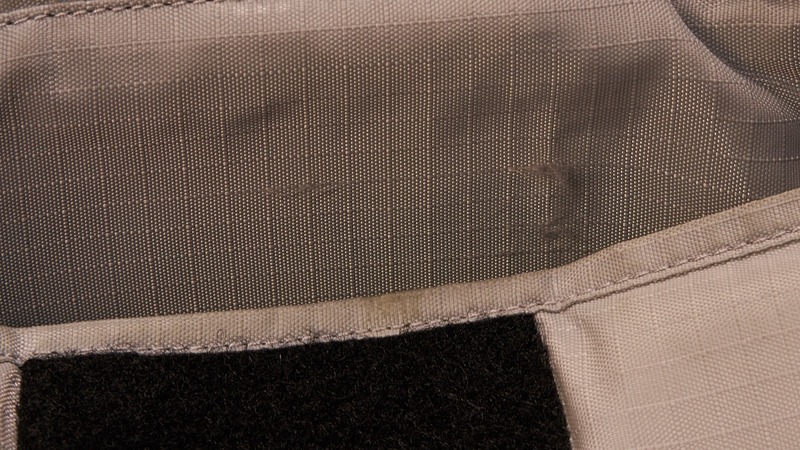 For me, this means the inner side of the laptop compartment and along the velcro of some of the side pockets. The one thing that I never used, the strap to attach the inner compartment top, has its sewing coming apart somewhat, though I could probably just cut it off and be OK with it. The most visible "problem". Solvable with a pair of scissors. If anything, the Manfrotto design philosophy for this bag was the polar opposite of the Crumpler: a boring, non-assuming black bag that actually seems to be designed more for style than usage, complete with a almost invisible company logo on the front. Well, they do boast that the company is Italian, so it's not exactly a surprise. Can't say I agree with their design though. Strap looks quite used and ugly as hell. The Allegra has it's share of problems. There are four zipped compartments, but only the large front one reaches to the bottom of the bag. The two inner pockets are so tiny you can hardly fit an ID card or keys into them. And it's not like there wasn't any space there to extend them, they simply cut the pockets off to be only ~8cm in depth. The same goes for the joke that's on the flap: I can fit my mini mobile hotspot into it, but that's about it. I wish the zips were oriented to the same direction so I don't fumble opening them, trying to find the tiny-tiny openers. Yeah, those should have been bigger, easier to find without looking. Also, the shoulder strap should come with padding. I did like the unassuming exterior (compared to the Crumpler), the smaller size, the extra separation besides the laptop-slot, and external pockets. But especially the size. 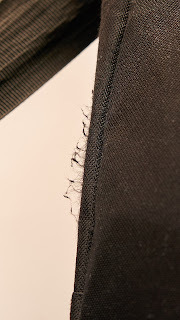 The side of the bag started to fray in a patch after about a year, due to the shoulder strap constantly chafing against it. I'd call that a design problem. The shoulder strap has also started to fray at the edges, and it is quite visible used. 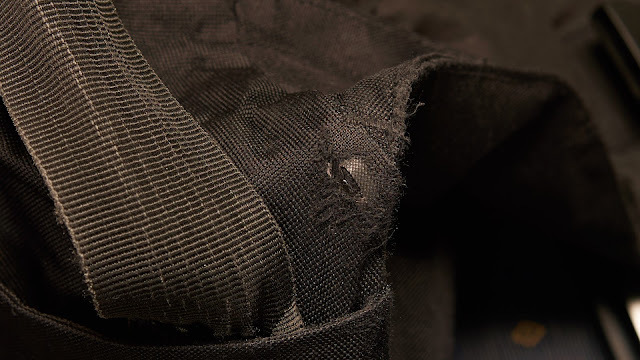 Another spot that shows wear, but not yet tear are the sides, where the bag constantly banged against my trousers for the 1,5 years. Well, while it takes more space to write down the problems of the Crumpler, it saw almost three times the usage and is still closer to its original state. 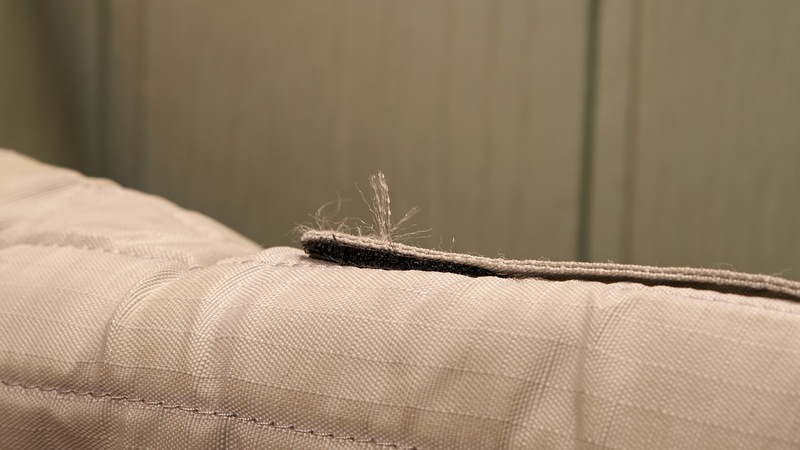 More importantly, the strap did not eat through the side of the bag in half of the warranty time. Well, I'm not yet sure if I'm gonna bother with returning the Manfrotto to warranty. I've also already ordered a bag that is somewhat bigger than the Allegra 30, but not nearly as big as the New Delhi 620. I think you might guess the manufacturer. I'll probably write a review about it after breaking it in, or if it breaks me.